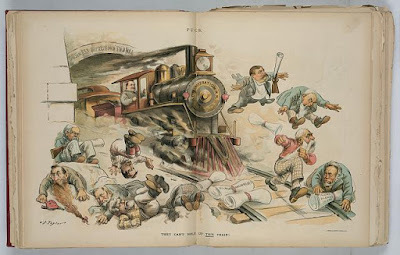 Over the past century and a half, media's dished out countless cartoons of presidents running over (or about to run over) this or that with a locomotive. But let Trump retweet a cartoon with a Trump train and a CNN figure? 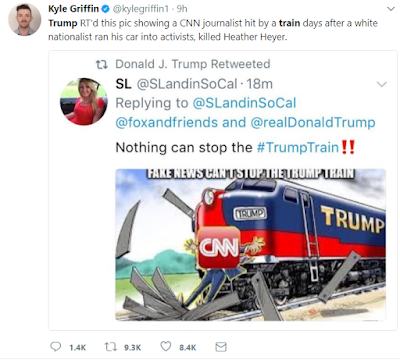 Do those expressing shock, horror, or other condemnation not realize trains can't randomly target stuff? Trains can only hit what gets in their way. 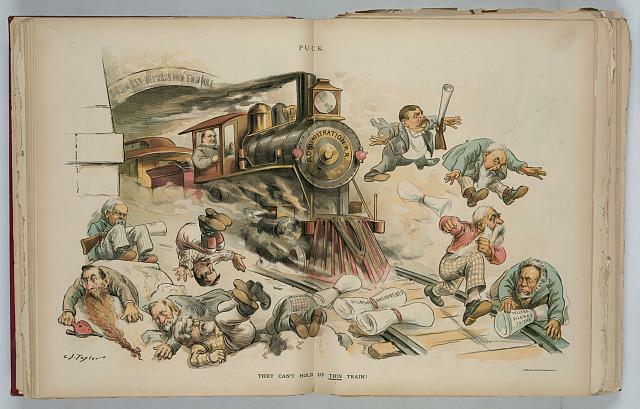 The meme of a president running a locomotive toward obstructions or obstructionists is one of the oldest and most used in political cartoonery. I seriously doubt anybody freaked when Grover Cleveland was shown barreling through legislators with one. Okay. That's it. Time to move on. Some history and some uncanny similarities. What happens to you if government chokes?